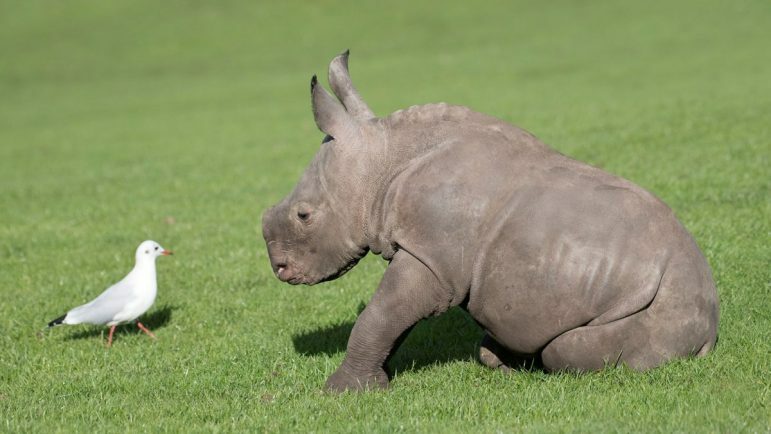 Baby southern white rhino, Fahari, has had a busy month making friends and charging around the Safari Drive-through at West Midland Safari Park. 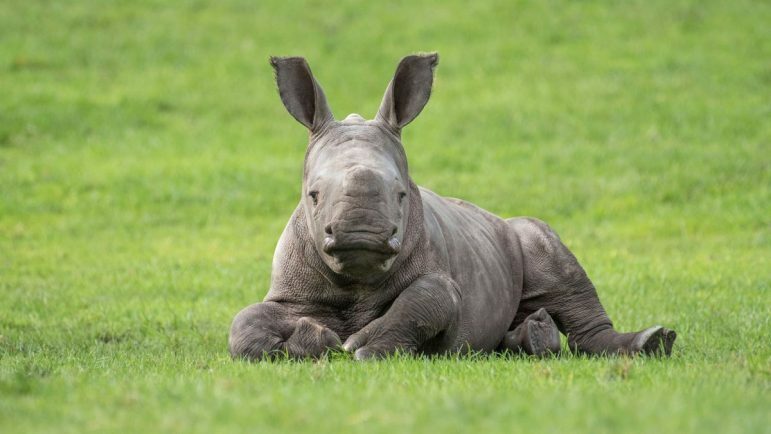 The adorable youngster, whose name means ‘splendour’ in Swahili, made her first tentative steps out of her paddock on 4 October and was soon running circles around mum, Keyah, and two of the older female rhinos, Mtuba and Trixie. Dad, Barney, was then introduced to his delightful daughter on 10 October, whilst mum kept a close eye on the little one’s antics. Fahari then finally met her half-brother, Ekozu, who was the first white rhino born at the Park for ten years in March 2016. Keepers kept a close eye on their first meeting, as Ekozu is known for being very boisterous and weighs in at a whopping 700kg. Despite Fahari’s best efforts to play, Ekozu was more interested in grazing on the delicious grass! Fahari is the seventh member of the ‘crash’ of southern white rhinos at the Park and has quickly taken to her new surroundings. 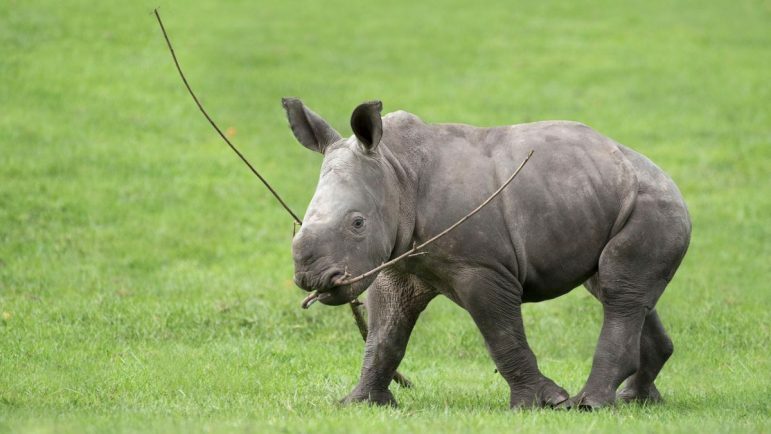 Not only has the new addition been making friends with the other rhinos, she’s been seen playing with sticks and even attempting to charge at the Congo buffalo! 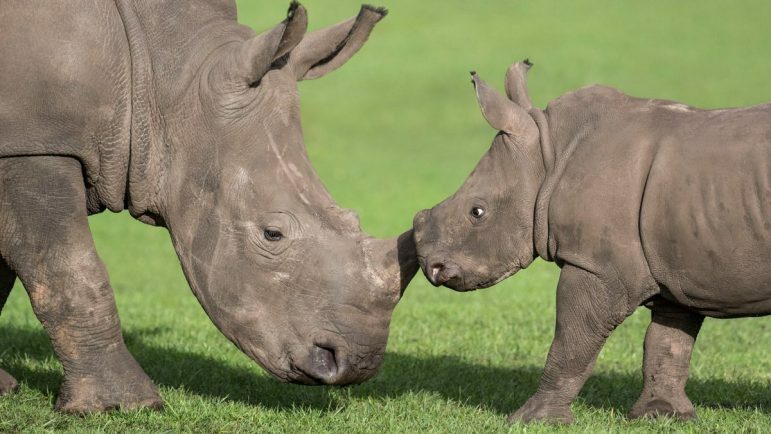 Southern white rhinos are part of the Park’s successful European Endangered Species Programme, that aims to safeguard the future of a species vulnerable to the continued threat of poaching and habitat loss. 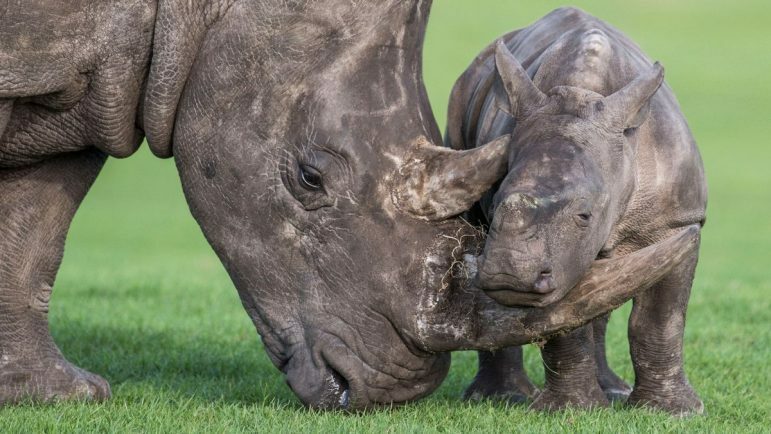 At the last count, just over 20,000 wild southern white rhinos remained in South Africa, with 1,054 killed in 2016. 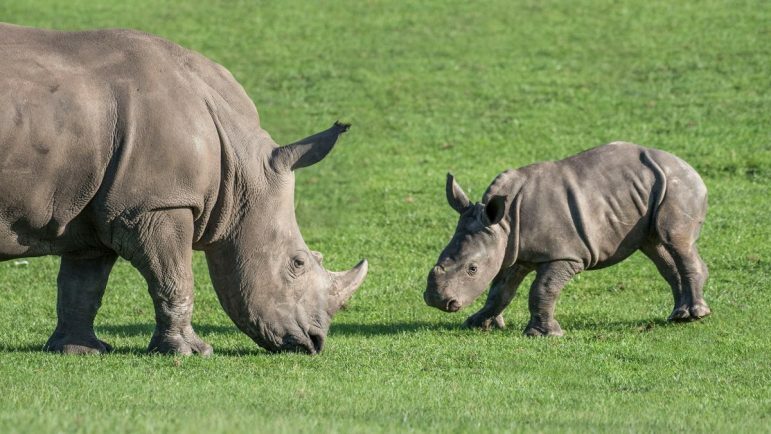 The rhinos can be seen in the four-mile safari, which is included in the standard admission charge (until 3 November) of £23.00 for adults, £18.00 for children aged 3-15 and £21.00 for concessions. Admission includes a voucher for a return visit or safari gift. Adventure Theme Park rides are charged extra. Further information and tickets for the winter season are available from the Park’s website www.wmsp.co.uk or by telephone 01299 402114. 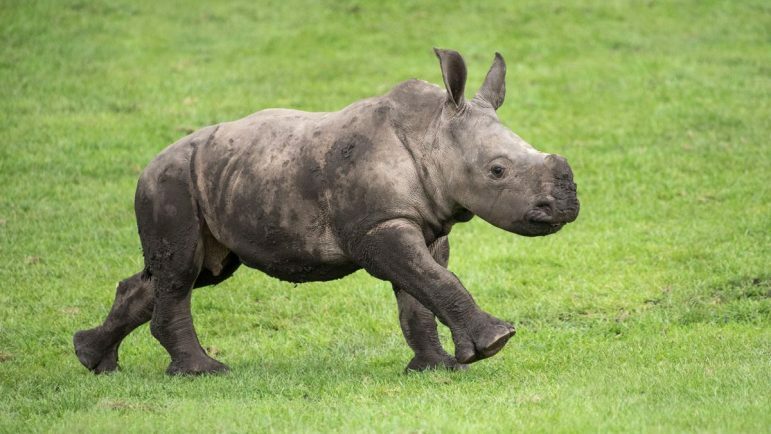 You can find out more on the Safari Park’s official Facebook page: www.facebook.com/WestMidSafari. Buy photos online from the Worcester Observer newspaper.